So you are going out on an adventure vacation, to explore the wilderness and the nature around you; you have done your bit of preparation in terms of sticking to a workout program, getting your shots from the doctor and booking your ticket. Now the next important thing is to have an idea of what to take on the trip and what to leave behind. If you are going on a hiking, trekking, camping or any outdoorsy, trip there are few essential things that you just can’t afford to leave out and there are a few things that will make your life easier outdoors. Apart from the sports gear that you will be carrying, say the diving suit if you are going for a diving trip; or your mountain climbing equipment; or the your skis with gloves, goggles and warm clothes if you off to a ski vacation, remember to pack comfortable clothes for the trip. Comfortable clothing also extends to the shoes that you will be wearing. Remember to wear good footwear that will be able to survive the trek or activity. You wouldn’t want to be looking for a cobbler or footwear store there. A first aid kit is also essential when you are going trekking or camping. Whether you are trekking the plains of Machu Pichu, climbing the Rocky Mountains, rafting the Ganges or Skiing on the pristine slopes in Switzerland, a sun screen is a must on any vacation. Protection from the sun in any open environment is a must, you wouldn’t want to come back with burnt skin, besides avoiding sunscreen can sometimes get quite painful. 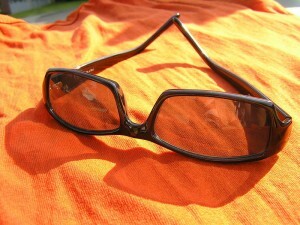 Sun glasses are also great gear for any sort of vacation. A must on any outdoor vacation, the all-purpose knife is almost as important as the first aid kit. You never know when you may find the need to use it, and it is always good to know, you have it handy. Like the knife, the flash light is a good addition to the trekking backpack. You never know when you need it, and you are always better of keeping one on hand all the time, especially when you are out holidaying in the wilderness. Find out about the place you are visiting and prepare accordingly. If you are going to be surrounded by vegetation, you would need an insect repellent. You are right! It is important to make a checklist before taking an adventure trip. 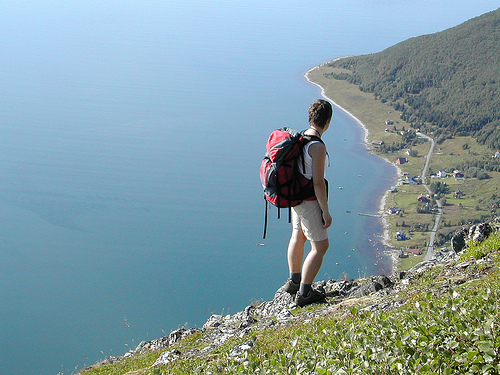 It would really be a nice experience to do outdoor activities such as hiking on your travels. One of the best travel destination I have experience was travelling in Branson Missouri. It was really fun hiking with their majestic mountains together with my family. Thanks for sharing!